State Assemblymen Steve McLaughlin, Jim Tedisco, and Michael Fitzpatrick announced today that they're drafting legislation that would prohibit state politicians, as well as state employees, from keeping frequent flyer miles and hotel/car rental points they accumulate while on official travel. "Frequent flier miles for state travel should be banked to lower costs for taxpayers, not pocketed by politicians for personal travel clubs," said Tedisco. "In these challenging economic times, when state government is supposed to be reining-in unnecessary spending and asking people to do more with less, taxpayer-funded air travel should be rare. 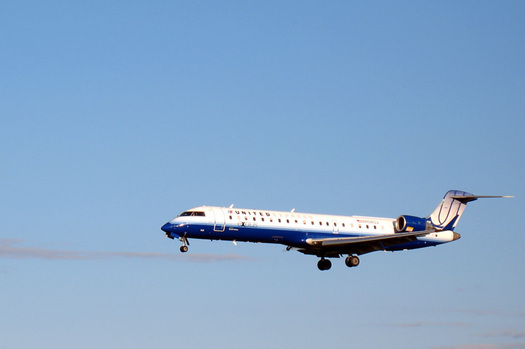 When air travel is absolutely necessary and when it passes the smell test of good and ethical government, the only ones who should benefit from accrued frequent flier miles, hotel discounts and other perks are the taxpayers who are paying the tab for the trips in the form of reduced costs for future state travel related to official taxpayer business," said Tedisco. Here are the current state rules for employees and travel rewards. + Require convicted animal abusers "undergo a psychiatric evaluation and treatment as warranted"
+ Prohibit anyone convicted under Buster's Law from owning a companion animal (ie, a pet), unless a psychiatric evaluation concludes "clearly and convincingly that such person is of sound mind and possess the capacity and ability to properly care for such animal"
"Pet owners have a responsibility to raise animals in a safe, sanitary and humane environment and only take in animals they can reasonably care for. Animal hoarding is a sickness and anyone who would engage in this disturbing behavior may have a mental illness and needs to be treated before they harm more animals or hurt people. Animal hoarding also impacts neighborhoods by causing dirty and unsanitary conditions where disease and infestations can spread." The proposed legislation sounds reasonable. There are always the details, though: who pays for the psych evaluations, would rescue orgs be required to check the registry before adopting out animals, and the prohibition against abusers owning pets would probably be difficult to enforce. But in this most recent cat hoarding case -- and many other cases -- it does sound like the people really do need some sort of psychiatric help. Tedisco pushed for the passage of Buster's Law -- which makes aggravated cruelty to animals a felony -- in 1999. 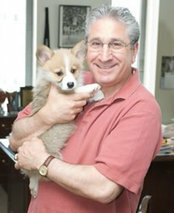 He also has a corgi named Gracie (see photo -- Gracie's the one on the left). How Capital Region state Assembly districts could shape up. The task force in charge of drawing new districts for the state Senate and Assembly released its slate of proposed maps this week. As this is New York State politics, there was much criticism. And we'll get to some of that in a bit. The Capital Region could potentially end up being affected by a lot by the proposed new district lines. Most significantly, the task force is proposing to add a new Senate district that would cover the southwest corner of the area. 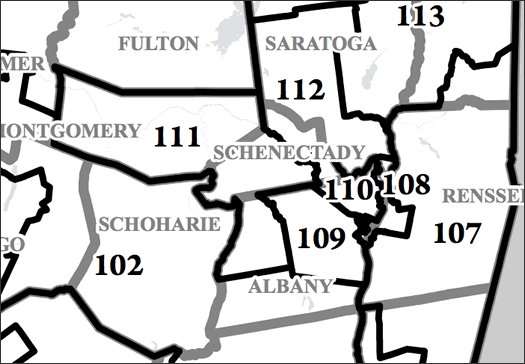 But there are also shifts in the city of Albany, Saratoga Springs, Schenectady, and Troy. Reading about all this, we found it kind of hard to keep all the old and new maps straight. So we've we've put together before-and-after versions of the Capital Region's legislative districts -- the current districts side by side with the proposed new lines. Daniel emailed us this weekend after noticing that Client 9, the documentary about Eliot Spitzer is now available on demand on Time Warner Cable. (It debuts in theaters November 5.) He said he jumped at the chance to watch it. He was also nice enough to send along a quick recap of the doc, focusing on the parts involving Albany. As he notes: "Some of this might be considered a spoiler about the movie, even though we all know how it ends." Right, the spitzering. Scott Murphy was sworn in this afternoon as the Representative from New York's 20th Congressional District today. How about Jim Tedisco? Bob Conner reports that Tedisco was at the (NY) Capitol this afternoon taking responsibility for his loss, sounding upbeat and eating jelly beans. Update at 3:55: Tedisco's officially out. + CapNews9 reported last night that "sources" told it that a concession could come as soon as this afternoon. + Liz Benjamin reports that she was told by "a source close to Tedisco" that the candidate was looking to get a hold of Scott Murphy's personal phone number. Presumably he wouldn't be calling to set up a man date. + PolitickerNY's Jimmy Vielkind reports that Tedisco's inner circle has been discussing concession -- and may be looking to bury it in the Friday afternoon news cycle. The unofficial count has Murphy up 401 votes on Tedisco with about 900 absentee ballots still to be counted. Note: the TU's site was loading erratically, if at all, for us this morning. Special election vote totals shifting, Morris says Albany treasurer lied, arrest in Barnes assault, Shen coach suspended after old accusations come to light, state budget leading to Saratoga paid parking? The polls haven't even closed yet for the 20th Congressional District special election, but we're ready to move on. Heck, we've been ready to move on for what seems like weeks now. "Eating babies. Scott Murphy just doesn't get it." "Jim Tedisco devours infants. That's an Albany politician for you." If only. Our picks are after the jump. If you have a favorite, post it in the comments. Make it stop. Just make it stop. For whatever reason (probably the non stop ads) this shortened special election seems to be going on forever. As @AmyMengel recently joked: "Maybe they will let us just text our votes to 1-866-Congress01 or 1-866-Congress02." Then we could all move on. Here's the latest scan of the coverage. The big news this week: two debates! There are only two more weeks until the special election to fill Kirsten Gillibrand's old House seat. 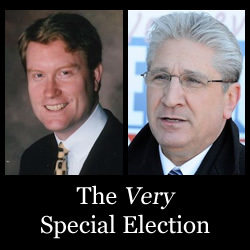 We've been reading the coverage of the race between Jim Tedisco and Scott Murphy so you don't have to. This time around, Tedisco takes a stand, Congress members write checks and apparently Republicans are "self-suppressing." What, you haven't been closely following every exciting turn in the special election to fill Kirsten Gillibrand's former House seat? Worry not. We've been paying attention so you don't have to. Here's the quick rundown on where things are at in the race between Republican Jim Tedisco and Democrat Scott Murphy for the 20th Congressional District. Albany Common Councilman Corey Ellis officially announced that he's running for mayor yesterday. Here's his web site. Worry not. We've sort of been paying attention so you don't have to. On Sunday, Ms. Gillibrand said she no longer favored branding immigrant-friendly cities such as New York as "sanctuary cities" and denying them federal tax benefits. On Monday, she no longer favored deputizing police officers as immigration officers. 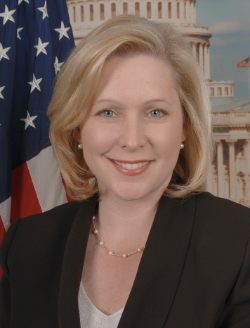 "It's not so much of changing my view as broadening," Ms. Gillibrand said. Perhaps, although James Tedisco, a Republican assemblyman who is running for her old congressional seat, complimented her: "She's very good at listening and regurgitating it back at you intelligently," he said. Admiration swells in his voice. "That's the mark of a good politician and a fine public servant," he said. In other KG news: she let reporters take a look at her tax returns from the past three years yesterday. The short story: she made a lot more money as an attorney. Jury deliberating Kathina case, selection process for Hillary replacement criticized, crash closes major intersection, new life for vacant anchor space at Crossgates? Spreading the news on "the iTax"
We're not excited about the prospect of a tax on digital music sales, either -- but Jimmy, why you gotta go and do that to Frank?!? That is, of course, Jim Tedisco. He's put up a site to campaign against David Paterson's proposal to tax sales of music downloads in New York State. Maybe we need a tax on karaoke instead. 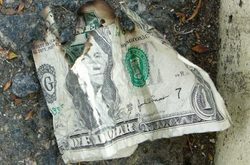 The analysis concludes that the taxes on items such as soda and music downloads will cost that average family $3,875.48 a year.